Lab-Crest Glassware for Midi Distillation 2000 Apparatus Component Jacketed . New Life Scientific, Inc. These are in excellent condition. The hosing may need replaced. This glassware is for the Lab-Crest Distillation Apparatus. There are (13) Absorption Impinger with medium porosity glass filters ($122 ea. ), (26) Reaction Flasks ($57 ea.) 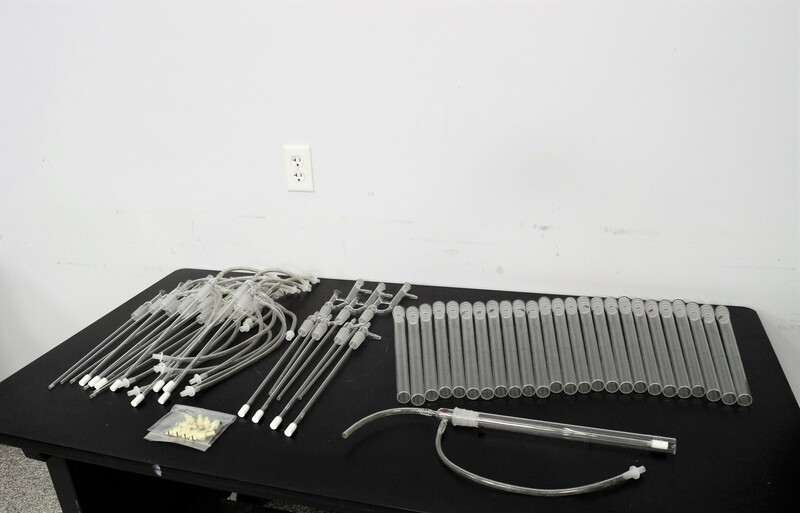 and (9) Reflux Impinger ($165 ea). As you see replacing any of this glass can be quite expensive… we are listing our at a fraction of the cost. Our in-house technicians did a visual inspection and found them to be in great condition.